Located about 10 minutes north of Qualicum Beach off the Coastal Highway 19A, Arrowsmith's 18 holes measure more than 3,700 yards, and were designed to provide golfers the opportunity to reach for every club in their bag. Arrowsmith Golf & Country Club, the only course in Lighthouse Country, is an 18-hole, par-61 beautifully manicured course with a driving range, a practice bunker, two practice greens, and a full-service clubhouse. 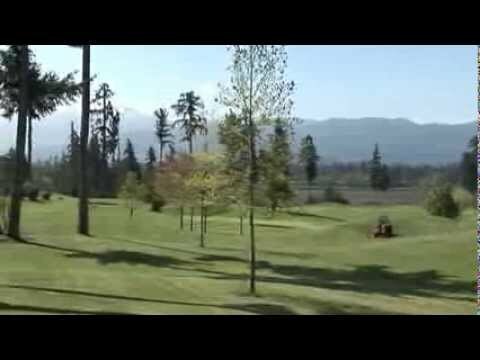 Arrowsmith Golf Course was specifically designed for year round play. Particular attention was paid to the fairways and bunkers ensuring the best possible playing conditions regardless of the weather. Tall, stately evergreens frame the green carpeted fairways of the area's best course, the Arrowsmith Golf & Country Club. Our Club house is waiting for you. Open to the Public. Before or after your time at the course. Micky J's always has great food to dine in or take out on the course. See yourself playing this fantastic par 61 course & just look at the epic view of Mount Arrowsmith. Just WOW! One of Arrowsmiths' many water feature on our back 9.